You’d probably agree that one of the top “addictions” people have worldwide is the addiction to coffee. Some people can’t live without it. Organo Gold is a multilevel marketing company banking on that fact. If you’ve seen this opportunity circling around your social media feeds you may be asking yourself, “What is Organo Gold Coffee? 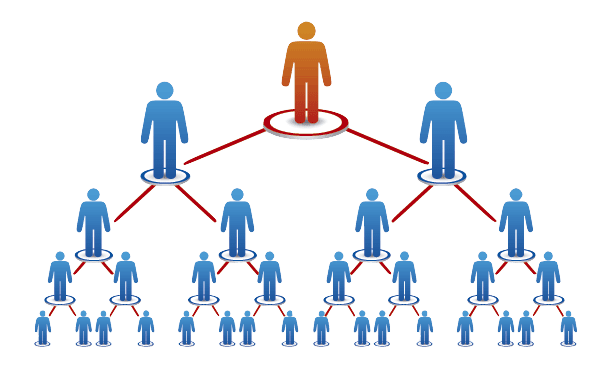 The main issue so many people have with multilevel marketing opportunities is their business structure that closely resembles “pyramid schemes“. But is Organo Gold coffee a pyramid scheme? And would a multilevel marketing business with coffee as it’s main product be profitable? Or is the market already oversaturated? Watch the following video and get an in-depth look into how Organo Gold works. If you’re a coffee drinker like so many others, could this be a profitable venture for you? I’ll cover the multi level marketing angle and the compensation plan as well before giving you my final verdict. Is Organo Gold a scam? Organo Gold is a global network marketing company revolving around coffee with independent distributors in over 50 countries. It began in 2008 in Canada, with Bernie Chua heading this idea to infuse the Ganoderma mushroom into coffee and offer beverages, neutraceuticals, and personal care products. After a few hiccups early on with not being able to distribute their product fast enough to keep up with growth, Chua brought on board Holton Buggs who was already very successful in network marketing in the past. Organo Gold relaunched in 2010 with better results. They are now a multi-billion dollar company. The key ingredient in their products is the Ganoderma mushroom. It is called “King of the Herbs”, and is used for many benefits in the Asian culture. It can be found in supplements, skin care and a host of other products around the world. In essence, Organo Gold is a Ganoderma company using coffee as its vehicle. Coffee is the main seller, but there are other Organo Gold products like soaps, lotions, and even toothpaste, all with their key ingredient of Ganoderma. What are the Health Benefits and/or Side Effects of the Ganoderma Mushroom? So, if you’re looking into Organo Gold as a business opportunity, it’d be very important to determine the veracity of its main ingredient: the Ganoderma mushroom. The Ganoderma mushroom has been linked to health benefits such as immune system support, cardiovascular health, antioxidant benefits, liver protection, antibacterial and antiviral benefits, lower cholesterol, and urinary tract support. Some potential side effects from prolonged use of ganoderma (3-6 months) include upset stomach, nosebleeds, dry mouth, dizziness, and itching. Additionally, it is recommended to consult your doctor before taking ganoderma if you’re pregnant or breastfeeding. Is Organo Gold a Pyramid Scheme? How Does the Organo Gold Compensation Plan Work? And now we get into the core of this review: Organo Gold’s compensation plan. Multilevel marketing compensation plans tend to be a bit confusing at times. There are talks of downlines, strong legs, matching bonuses, etc. If you’re familiar with other MLMs like Herbalife, ItWorks!, World Ventures, etc., then this will at least sound familiar to you. 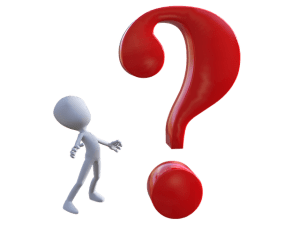 If this is your first time looking into a multilevel marketing compensation plan, I’ll try to explain it as best and as simply as I can. Organo Gold uses a binary compensation plan that many MLMs use. With a binary compensation plan you’re looking to create two legs of growth as you recruit other members into your organization to promote your product, in this case, coffee. As new members join your team, they also recruit in the same way you have. You recruit, you sell, and you recruit some more. The big selling point made by all network marketing businesses like this one is that you not only earn commissions on what you sell, but also on what your downline sells as well. As you continue to recruit and add members to your team, your organization starts to look, well, like a pyramid. While compensation plans like this one tend to not be sustainable for the long term, they are not illegal. As long as a product is being sold, you have a legitimate business on your hands. Organo Gold is not an illegal scam. They have their bases covered with a product many people worldwide enjoy. So what’s the catch with binary compensation plans? First of all, the big numbers they’ll show you in their home presentations tend to occur very, very infrequently in any real world organization. The fact is that the vast majority of your downline will become dead ends, not successfully recruiting other members, thus not being profitable. This is confirmed by the Annual Disclosure Statement you’ll see in a bit. In the Organo Gold Binary compensation plan you only get paid on your lesser leg. So if you find that stud in your organization who is a recruiting superstar and they explode your team, unless your right leg explodes equally, you miss out on a good portion of all that growth and compensation. As someone who’s worked in network marketing compensation plans before, I can tell you, finding those superstars is like finding a needle in a haystack. And with binary compensation plans, you need to find TWO and hope they land symmetrically in your organization, one on the left leg and one on the right leg. There are also some minimum requirements your recruits have to meet each and every month. As I alluded to earlier, it’s very common with most MLMs to end up with a number of “dead end” members of your downline who quit, move on, or just don’t want to recruit anymore. How Much Does Organo Gold Cost to Join? You buy in with Organo Gold for $49 with their starter package. This includes some samples and minimal marketing materials like a binder and pamphlets. To take part in the compensation plan, you have to purchase a business pack and then help your recruits meet their minimum sales requirements. The prices escalate quickly from here. The Bronze Pack costs $150.00 and you’ll get about $150 worth of wholesale products. You must maintain an autoship of product costing $50/month. This means every month you must order product for yourself. You are eligible to earn 10% in the compensation plan when your team meets specific requirements. The Silver Pack costs $450 and you’ll get about $450 worth of wholesale products. You must maintain an autoship of $100/month and you are now eligible to earn 15% in the compensation plan when your team meets specific sales requirements. The Gold Pack is the most expensive costing $1300. You’ll get $1300 in wholesale products. Your autoship remains at $100/month, but you are now eligible to earn 20% in the compensation plan so long as your team meets specific sales requirements. How Do You Make Money With Organo Gold? The binary, or Dual Team compensation described above is the main way to earn with Organo Gold. You’re going to be making profits on what you sell, and percentages of what your teams sells. When members join and meet minimum sales requirements you earn bonuses. There are also other slightly confusing ways you can earn commissions. MLMs are notorious for having multiple ways to earn commissions that only a small percentage of distributors actually cash in on. Here’s a brief description of each. The first way is a very straightforward way of simply buying product wholesale and selling at retail. You can earn profits up to 50%. It’s ok if you don’t fully understand each of these levels and bonuses. As with most MLMs, the vast majority of reps don’t qualify for large portions of the overall compensation plan. How Much Can I Realistically Earn with Organo Gold? Here’s your reality check for this Organo Gold coffee review. Organo Gold is not a scam. These are real products you can sell and distribute for real profit. However, so many people look at MLMs as a way to escape the grind and have visions of lavish lifestyles working from home. The fact is that very, very few actually make substantial profit with MLMs. The vast majority make a very limited amount of money. Unfortunately this is the trend with network marketing and multilevel marketing businesses. Take a look at the income disclosure below. As you can see, over 86% of Organo Gold distributors make $0-$599 annually. This amount wouldn’t cover the cost of business which for someone who joined for $49 and bought the least expensive Bronze Pack for $150, then spent $50/month on their autoship. $600 in. $800 out. Not good. I think you’d agree that with this income disclosure, the remaining 14% are represented in a slightly misleading way. At first glance you may think that about 33% of all Organo Gold members make anywhere from $600-1000. But in actuality, this is 33% of the remaining 14%. Does your brain hurt? 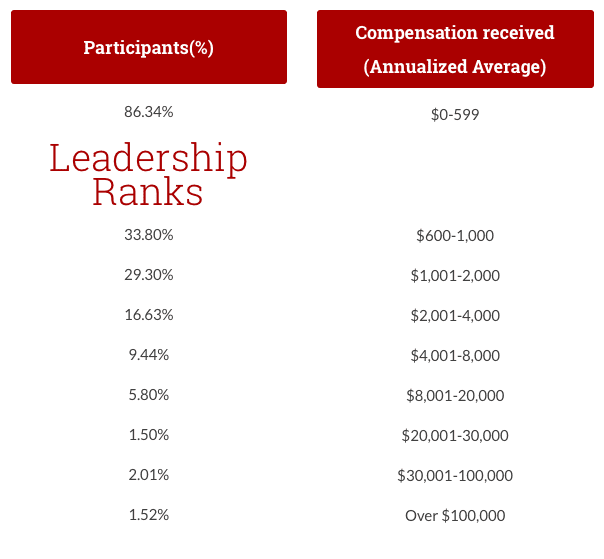 I’m not a fan of how they’ve represented their income here, but even at these leadership positions, members are barely breaking even at the Bronze Pack, and are still substantially in the hole at either the Silver or Gold Pack. This is the common bell curve with MLMs. Is it possible to make money with Organo Gold? Yes. Is it common to make substantial money with Organo Gold. The numbers point to “No”. Is Organo Gold a scam? Thankfully, no. As you’ve seen in this Organo Gold coffee review, Organo Gold does offer many products all infused with the Ganoderma mushroom with a variety of potential ways to earn revenue. While most of those ways to earn are built around recruiting, you can earn money without recruiting and just sell the products for profit. However, like most MLMs, it is hard to sustain a business built around a binary compensation plan and recruiting. You simply need too many things out of your control to go just right to hit those big bucks. In my opinion, unless you love to recruit, you should pass on network marketing and multilevel marketing opportunities. Their business models are rarely sustainable. If you’re looking for a much more straightforward way to make money online you should dive into affiliate marketing. There’s no recruiting, no downlines, and no depending on a team of people to earn consistent revenue. You’re the boss. You have control. Don’t know where to start? The online community I’m a part of is, in my opinion, the best training platform and mentoring community for anyone looking to build a successful business online. I’ve had nothing but positives from it, and it’s absolutely free to try. What questions do you have for me? Did this Organo Gold review answer your questions and concerns? Let me know what you think. Share your experiences. Are you an Organo Gold member who’s beaten the odds? How’d you do it? Did I leave some key points out in this review? Feel free to let me know by sharing your viewpoint in the comments below. I’d love to hear from you. I am a former independent rep of Gano coffee. The only reason I joined is because my friends told me how good the coffee was and that it was good for you? I absolutely loved the coffee, but I wasn’t interested in making it a business. Just wanted the coffee. My friends eventually grew weary of the opportunity. Like you stated. It’s not a scam. Your review was very informative and honest. Thank you for that! Thanks for the comment! As I’ve mentioned in other articles, network marketing, while not a scam, isn’t my preferred way to make money online. Organo Gold falls into that category. I love coffee! The idea of a business with coffee as its focal point intrigued me, and the organic ingredient “mushroom” was kind of a shock to me because I never imagined mushroom in a drink. However, I’m very thankful for your full explanation of the MLM element to this. Not a fan of network marketing myself for the reasons you mention. Im am intrigued though by the alternative platform you recommend. Is this the one you’ve had success with? Thank you for your comment! Yes, I’m not a fan of network marketing myself. The platform I recommend above all others is based on affiliate marketing and, in my opinion, offers the best training and mentoring community you’ll find for anyone looking to build their own successful business online. I highly recommend trying it out, and feel free to ask me any questions! Thanks again! I think I might actually try the products since I really love coffee, but the business part does not interest me that much. Not a fan of MLM. I can’t deal with MLM as I think it is not a great way to make substantial income online. Plus it is hard and not fun to recruit. Agreed. There are many MLM products out there that on their own have their benefits. But the MLM business model is one that I’ve found is just not easy to sustain and the numbers prove it. Thanks so much for the comment! Loved your write up on Organo gold coffee and the compensation plan. I’m a little bit familiar with Herbalife and how that works to a degree but your article helped shed some much needed light on the compensation. The MLM plan doesn’t sound like a very good opportunity though. I know how these gain steam. People get very excited about the results from a product and want to spread the word, but as you show here, it’s very hard to make it last. Thanks for the comment, Mat! In my opinion, MLM & network marketing schemes just aren’t a sustainable way to make income online. I know lots who have tried, but the numbers don’t lie. I appreciate the comment and insight! Thanks again! You are absolutely right, “…unless you love to recruit, you should pass on network marketing and multilevel marketing opportunities.” Being a salesperson is not everybody’s “cup-of-tea” (hehe). An amazing job of laying out a detailed review of this particular MLM and the observations that tantalize to a better way! In my experience the MLM model simply doesn’t sustain. Not knocking those who pursue network marketing opportunities at all, I just feel the reality is that they *can* be a way to make extra money, but there are much better, more sustainable, and straightforward ways to make money online that don’t involve all that recruiting. Thanks so much for your comment! Thanks for the article. I’ve been trying to ask and find out what it was about Organo Gold that made it any different from regular coffee and now I know it’s the Ganoderma mushroom! I had never head of it before. As a coffee drinker, this had intrigued me, but you confirmed my suspicions about MLMs. I’m really glad I found your article and video. Thank you! I’m really glad this helped. I had never heard of the Ganoderma mushroom either until doing my research. In general, I just can’t recommend any MLM as a sustainable way to earn money online. I know several close friends who pursue network marketing opportunities. While there’s absolutely nothing wrong with pursuing a passion, the reality of the expectations should lean way more towards earning a bit of extra money as opposed to earning full time income. Thanks for the comment! Hi Eric, my eyes always glaze over when I look at MLM income streams, you have explained the structure how Organo Gold works and the way money is earned very clearly. At least this one has a genuine product – ‘coffee’ to sell unlike many of the digital pyramid scams we see today. I do think coffee is over-saturated in today’s market. I’m not a fan of most MLM schemes and their overhyped advertised earnings potential, I prefer to see everyone competing on the same level, then it’s fair for all. Great points, Simon. With coffee’s popularity it wasn’t a surprise that someone attached an MLM to it, but unfortunately, as with all MLMs, the same basic compensation plan and business model exist. This makes sustainability just as hard as with other MLMs. Affiliate marketing is much, much more straightforward and is what I recommend highly over network marketing. Thank you so much for your comment! Very informative post. I just started with affiliate marketing and I can attest to the fact that it is much, much better than Network Marketing and MLM. Great article on not just Organo gold but MLMs in general. Thank you! Thanks for the comment and insight! Agreed! Amazing review my friend, you really hit the nail on the head with this one. I dislike MLM schemes for the simple reason you’re limited on earnings and so is everyone else who has joined. With every new person that comes into the system you’re only making it harder and harder for them. This sounds exactly like what happens with the Organo Golde Coffee and I’m not interested one bit. Thanks for the review! Yeah I’m not a fan at all of MLM. I tried my hand at it a couple times, had some success, but I became tired of having to depend on a team when I knew the vast majority would not be successful. The numbers are clear on that and it’s an empty feeling. Now, I can build 100% on my own efforts with training I know delivers. Thanks for the comment and support! Love the honesty and layout of how you’ve explained this! This is flatout great content thanks for this!! Thanks man! I appreciate the kind words and support! I feel there’s better ways to make money online that don’t involve recruiting. Thanks for the comment! I think Organo Gold is no different from Avon or Mary Kay. It’s Direct Sales of products that some love some don’t. Also, we have more than Coffee. Thanks for the comment, Brian. I don’t think many people have issues with the products themselves as much as they do the MLM aspects of these businesses. Downlines and recruiting just get old. And while I’ve known people personally who do well with Direct Sales & MLM, the vast majority never seen to reach their goals or even become profitable and get their investment back. I always recommend affiliate marketing over network marketing because, from personal experience, I’ve found affiliate marketing to be a whole lot easier to be profitable and I don’t have to depend on downlines being successful, know what I mean? Thanks for the comment and the insight. A friend gave me some of this coffee when she got a box. It is ok, but I don’t know how anyone could make a profit from it because you can just buy it yourself on Amazon! As soon as anyone figured that out they certainly would stop paying a premium to buy it through an MLM pyramid!! I steer clear of any MLM company if I want to make money. It seems to take too much time for too little results. I love the alternative you mention as your top recommendation and I’m excited to say I’m jumping in! Very interesting to see a review of these products. Thank you Jessica! You said it! Very good points. Can’t wait to help you grow your online business with WA! Thanks for the comment! Thanks for sharing this. It’s a shame how MLM get a bad rep, but it can actually be a profitable business…if you like to sell. I personally don’t like the idea of selling to family and friends…well if I can prove that I am making money I don’t mind. The payment structure is one of the best that I’ve seen. I can only think of how much money my husband spends on coffee a day. Thanks for the insight Kay! In the short term, you can find MLMs to profit from by jumping in, turning a profit, then jumping right out. This isn’t very fair to your downline though as most of the time when they jump in you’re telling them how you’ll help them get profit of their own. It’s one of those things that’s just hard to profit from in the long term. As you mentioned, I prefer a more straightforward way to making money online, and the training platform and online community I’m a part of have given me nothing but positive results. I highly recommend checking them out 🙂 Thanks for the comment! The moment you mentioned coffee, I started to reach for my second cup of joe. It is my energy boost I need ever day. I’d love to try their coffee, though from what you’ve told me about their opportunity, I’m a little weary about. Can you get their coffee anywhere or do you need to buy it from a rep? You can actually buy the coffee on eBay from distributors who are looking to get rid of their inventory. That’s another reason some have lost their drive with this particular MLM because your customers are actually able to find it online and go around you. From what I’ve read, some love the coffee, and some didn’t. But that’s to be expected. I’m glad you enjoyed this review. There are better ways to make money online, but hey, maybe you’ll enjoy the coffee! 🙂 Thanks again! I’ve been drinking the Coffee for years Nate. Most of the products sold by 3rd Parties have expired. Great review! I had no idea there was a MLM that sells coffee. It always surprised me that coffee isn’t a product of more MLMs since it would most likely be a high selling product. It’s interesting that they use Ganoderma Mushrooms in their products. I’ve never heard of this mushroom or the health benefits before. Sounds helpful. Do you know if there have been tests to see how many people experience the side effects? Thank you for your honest review and making it clear that very few people make a lot of money from MLMs. Thanks for the comment, Weston. I think the listed side effects aren’t very common thankfully. Just about every product out there has it’s list of possible side effects, and these potential ones come from prolonged consumption. If you love coffee and would love to create a business out of it, I’d definitely suggest affiliate marketing over multilevel marketing. It’s a great industry and no need to recruit. 🙂 Thanks again! Hi Weston,, Ganoderma is the American or Medical name. The Chinese call it Linghzi (The King of Herbs) and the Japanese refer to it as reishi mushroom. It is sought after more than Ginseng. I’d never heard about this organo Gold Coffee, thanks for sharing a good review about it here. I’m not a multilevel marketing person, so I’m intrigued by the recommendation you shared at the end of the video. Your site is very professionally made. Did you get your training from that training platform you recommend? Is it really free to start? Hi Alejandra 🙂 First, thank you for the comment and kind words. I’m very proud to say that I’ve built this site from the training I’ve received at Wealthy Affiliate. It’s no exaggeration when I say it’s the best mentorship and online training community I’ve found online. I highly recommend creating your free account and trying it out for yourself. I am cautious when I hear about MLM companies and I have heard before about many products who had benefits for our health like this mushroom. I know that most people do not earn much money from MLM for this reason I avoid them. I think there are better business opportunities out there. MLMs tend to have the focus be on recruiting and many people simply run out of steam at some point. Their sales fall and they stop growing. And when you’re seeing your team plateau like that, it naturally effects you too. It’s a difficult compensation plan to sustain for a long period of time and the income disclosure statements reflect that. Some do hit big money, don’t get me wrong, but there are much more straightforward ways to make money online without having to catch lightning in a bottle. The income disclosure really speaks volumes. Thank you! You have provided a ton of information. Thank you for giving such a thorough review on this topic! I’m actually going to look at your recommendation right now! Thanks for the comment! I really think you’ll love the training and mentorship at Wealthy Affiliate. There’s a reason it’s my top recommendation! I’m glad this Organo Gold review helped you out. Thanks for the insight! These days I’ve found that the more simple a business model is the better it will convert into customers and just like the other’s have said, I find it a little bit too much in terms of complication. I also prefer a more straightforward way to make money online myself. MLMs love to talk about all the ways you can make money with them, but unfortunately the vast majority of distributors never actually qualify to get paid for many of those ways. Thanks for the insight! I appreciate it! 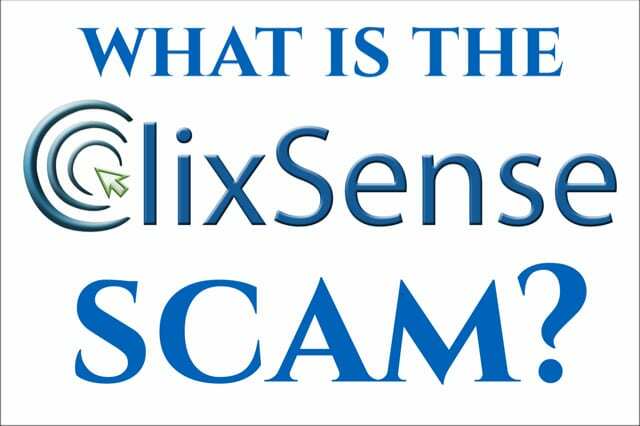 A very interesting article as I have heard a lot of these kind of schemes and I have seen people fallen into their trap as they have invested into the scheme and then trying to recover their money. But the margin is so mall that you can barely make any living out of it, 86% of organo distributors make only $0-599 thats pretty sad.I would not invest. Thank you for sharing, I enjoyed reading it. Only a handful of people can make real money with MLM, and this kind of work is definitely not for me. I just read a review of a costumer that bought a silver pack of Organo Gold and for personal reasons tried to get a return. This costumer went to their local office and the people there said to her that she had to call to a telephone number. After several tries she finally get an answer from the phone after several days, and the person that answered said that she had to wait for a week to get the refund. After a week nothing happened and she is still trying to get the refund. This is not the most trustful company to work for. Thanks for the comment, Ruben! I hate hearing of people who have trouble getting what they were promised out of MLMs, but the truth is, just like you said, very few people make real money with multilevel marketing. The Organo Gold coffee reviews I’ve read have been for the most part positive with regards to the products, but the Organo Gold compensation plan really does revolve around recruiting. If that’s what you want to do and you love coffee, then have at it. For me though, I like a more straightforward approach to making money online. Interesting product and payout scheme for coffee. I like things simple, this to me does not look simple. I don’t think most coffee drinkers want to look at their coffee as an investment nor should they. You can buy coffee so cheap now at any grocery store or the die hard have Starbucks. This didn’t do out for me. It looks too complicated so I would have to pass. Well written and informative.